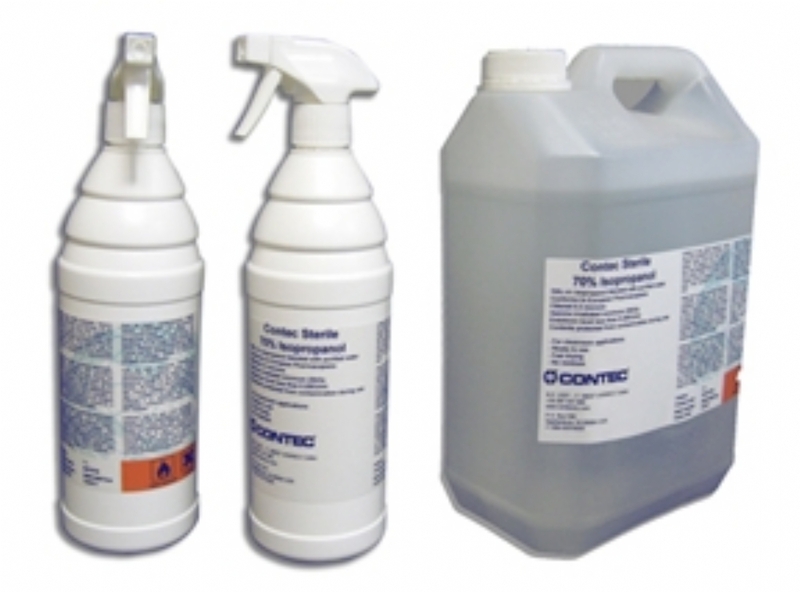 Manufactured in France for the European market, Contec filtered 70% Isopropanol is adapted for use in critical clean environments and recommended for regular, effective, rapid removal of surface residues and contaminants. Consisting of 70% v/v Isopropanol blended with highly purified water, this ready to use formulation eliminates mixing, filtration, processing and QC expense of in-house production. Sterilised by gamma irradiation using validated processes. Endotoxin level less than 0.25 EU/ml. ‘Airless’ system ensures contents remain sterile during use. Conforms to the European Pharmacopoeia. Full supporting documentation available.